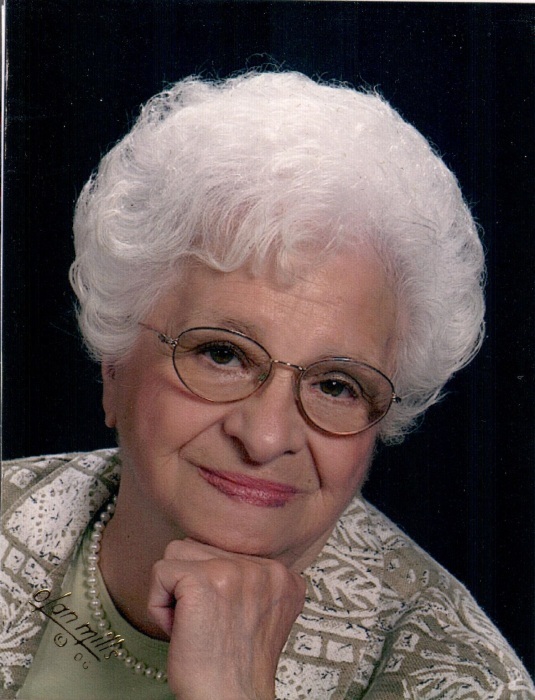 Obituary for Josephine M. Grieco | D.L Calarco Funeral Home, Inc.
Josephine M. Grieco, 97, formerly of Stone Street and Centennial Apartments, passed away November 20, 2018 at Samaritan Medical Center. Mrs. Grieco was born August 29, 1921, in Watertown, a daughter of Michael and Angelina Grittani Mistersaro. She attended Watertown High School. On October 20, 1940, she married Daniel J. Grieco at St. Anthony’s Church with Reverend John Quinn officiating. Mr. Grieco died in 1972. Mrs. Grieco and her husband Danny operated thier family’s business, Grieco’s Brass Rail, which was in thier family for over forty years, until it was sold in 1979. Mrs. Grieco was a communicant of St. Anthony’s Church, a member and past president of the Altar Rosary Society and a Mt. Carmel volunteer. She was a member of the Sisters of the Precious Blood Auxiliary, a member and Vice President of the Italian American Civic Association, was the youngest and last member the Jolly Club. She enjoyed watching the Yankees, SU Basketball. Mrs. Grieco baked cookies for weddings, St. Anthony’s Mt Carmel Feast and Italian American Civic Association events She volunteered for the monthly Spaghetti Dinners at St Anthony’s Church, made cookies for and volunteeres at the Fried Dough Stand at the Mt. Carmel Feast . Mrs. Grieco often made chicken soup for her grandchildren, they called her “Gramma Soup”. Surviving are a son, Daniel (Judy) Grieco, Chaumont and Ocala, FL., two daughters, Susanne (Jan) Slodkowski, Watertown, Linda Grieco - Roach, Watertown, four grandchildren, John Check, Watertown, Tamara Harrington, Reno, NV, Lindsey Simonette, Watertown and Lyndon Roach, Watertown, nine great grandchildren, several nieces and nephews. A brother Joseph Mistersaro and three sisters, Rose Grant, her twin sister Mary Palumbo and Ann Grieco, and a son-in-law, Lynn Roach, all died before her.